Last Sunday, on the 30thof September, Skopje held the most important vote in its recent national history, after the independence which took place in 1991. This time the aim was to settle the three decades long-standing dispute with Greece by endorsing the historic Prespa Agreement over Macedonia’s name. Despite that more than 90% of those voting backed the name change, the turnout was about 36%, short of the 50% threshold required to make the referendum legally valid and the decision binding for the Parliament. Paradoxically, the referendum result has been celebrated as a victory from both the government and the opposition party: now we should figure out who is right. The HR/VP Federica Mogherini and the Commissioner for the European Neighbourhood Policy and Enlargement Negotiations Johannes Hann, presented the result as a success for Macedonia and as a signal that the overwhelming majority of the voters was in favour of the Prespa Agreement and the European path. 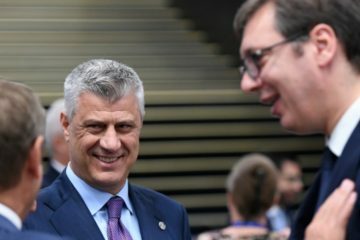 They defined this occasion as unique for Macedonia; therefore they invited all the national political actors to act beyond political party lines as well as in the mere interests of the country. The Greek Government spokesperson Dimitris Tzanakopoulos, from his behalf, expressed Greece’s support for the efforts made by Zaev’s government to preserve the Prespa Agreement. 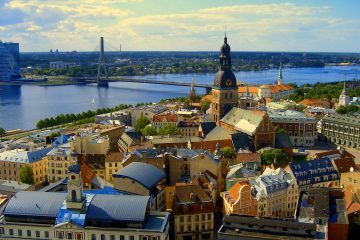 He considered the referendum result as a positive development for the agreement’s ratification and adoption. Even NATO’s Secretary General Jens Stoltenberg bolstered the Macedonian government with a congratulatory message, encouraging the local political leaders to carefully use this rare occasion; he confirmed the readiness of NATO to welcome Macedonia as its 30th ally and stressed that the only possible way is through the implementation of the name agreement. Given its consultative nature, the referendum was not legally binding, but a turnout of the 50% +1 of voters had been specified as necessary to make the result valid. Among the 1.8 million of eligible Macedonian voters, only 36% expressed their vote, far from the massive support that Prime Minister Zaev’s government had hoped for. Among them, 91.5% of people voted in favour of the name changing to North Macedonia compared to 5.7% against. Some possible explanations about the low turnout could be the assumption that only 1.4 million of the people on the voting rolls are believed to be in the country and that a vigorous online boycott campaign aimed at persuading people not to vote occurred and succeeded. Despite the low turnout, the Prime Minister Zoran Zaev tried to put on a brave face and stated that the ballot was a success for the democracy and the Macedonia’s EU-access, stressing that the name-change deal was supported by a vast majority of voters. Hence, he promised to convert the will of those voters into political action within the Parliament. 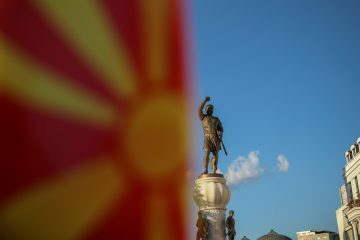 Indeed, the consultative nature of the referendum allows Mr Zaev to trigger the process of constitutional amendments to rename the country in North Macedonia, regardless of the previous outcome. He vows to further push the name change, and to seek the Parliament’s approval for the proposal’s constitutional changes and the implementation of the Prespa agreement. Nevertheless, according to the national law, Mr Zaev and his coalition partners from the ethnic Albanian minority will need to achieve the two-thirds majority . Thus, they will need at least a dozen MPs from the opposition. Prime Minister Zaev also stated that if his efforts to find a compromise within the Parliament would fail, he would call for early elections the next November. The latter could enhance the country’s instability as well as undermine the current government’s political survival. Why the turnout resulted to be so low? During an address to the nation, the well-known opponent of the referendum, the President Gjorge Ivanov portrayed the result as the failing of the referendum as well as the failing of the citizens’ manipulation by the current Government. He stressed that the real sovereign willingness was that 63.1% of citizens who did not go to vote, thus expressing their will; also, he emphasized that the accession to the Euro-Atlantic institutions should be reached through preserving the human dignity and without any pressures from international actors. Meanwhile, the leader of the main opposition party VMRO-DPMNE Christian Mickoski pointed out the result as a deep failure for the current government which, in his opinion, is risking to lose its legitimacy: also, he advised to take into consideration that strong message of who decided to boycott the referendum. 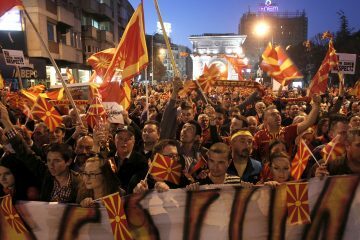 According to the director of Macedonia’s Administration for Security and Counterintelligence, Goran Nikoloski, a large and well organized disinformation campaign was set up in order to boycott the vote. 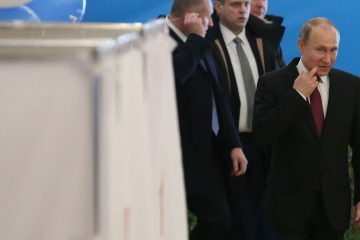 From the beginning, Western officials warned about the possibility of a Russia’s attempt to reduce the turnout in order to invalidate the referendum outcomes. 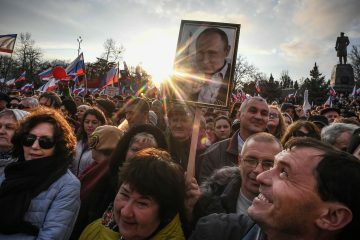 A Russian interference might have been possible, given the national geopolitical interest of avoiding the extension of NATO to Western Balkans . Furthermore, some Vardar Ultras claimed they were payed to raise up riots and disorders against the name-deal during the referendum campaign and the little party United Macedonia recently had close relations with Vladimir Putin’s United Russia party. On this regard, Russia’s administration denied any kind of interfering. In the meantime, the Russian Ministry of Foreign Affairs indicated the referendum result as a sign of the local people’s willing to boycott a decision which is imposed from external actors, referring to the Western leaders’ visit recently occurred in Macedonia. Moreover, he stressed the necessity that a solutions would be found only between the two countries, by respecting the Macedonian constitution and without any external interferences. Despite the good expectations, the long-waited referendum now risks to undermine the internal stability and the Macedonia Euro-Atlantic path. On the one hand, the SDSM MPs, Western international leaders as well as representative of EU and NATO are pushing for the approval of the agreement, claiming the 90% of “yes” obtained in the referendum and almost pretending not to consider the real electoral base of 36%. On the other hand, VMRO-DPMNE MPs, and Macedonia’s President continue to see this agreement as a threat for the national interest and to call for early elections, celebrating the referendum result as a victory.